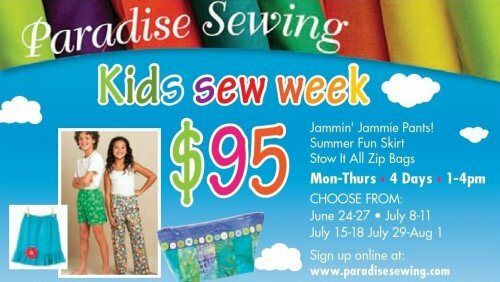 A Summer Sew Week for Kids 10 yrs and up! Learn how to operate a sewing machine and make something fun for yourself or for your friends! You will be on your way to becoming the newest fashion designer! Stow It All Zip Bag!